Here is the aroma of sparkling summer days yielding to evocative evenings, of warm flesh and roused ardour. 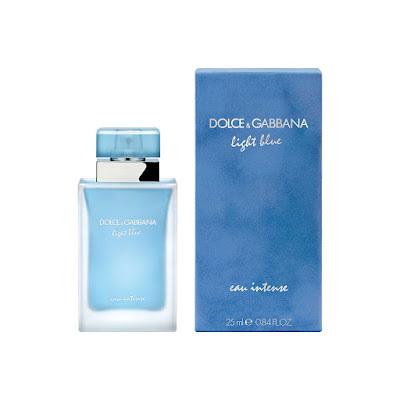 Dolce & Gabbana Light Blue is a tribute to the scorching sun, sea and sensuality of the Mediterranean. To douse oneself in Light Blue is to plunge headlong into the glittering turquoise depths, anointing one's sun-baked body. 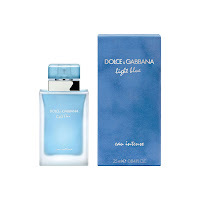 Unveil your elusive femininity with the Dolce & Gabbana Light Blue Eau Intense Eau de Parfum Spray, an impassioned chapter of the Light Blue saga. The sensual Dolce & Gabbana Light Blue Eau Intense is for a woman who is daring and confident. With its vivacious notes, the Dolce & Gabbana Light Blue Eau Intense perfume complements her endearing silhouette and graceful glow. From the first spritz, awakening citruses spill over the crisp, clean notes of Granny Smith apple. Juicy and luminous, the glowing core of marigold and jasmine shine on the soft nuances of musks, provoking a ethereal dry down in the base. The joy of living the Light Blue Mediterranean life. Capturing sun-drenched summer days and sizzling nights, this colourful, fresh, floral- fruity scent reflects the sexiness of the Mediterranean lifestyle. Combines lively Sicilian cedar with the freshness of the Granny Smith apple and the floral allure and spontaneity of the bluebell, the top note captures the essence of a sunny Sicilian summer. Feminine and resolute: The freshness of bamboo softened with the intensity of jasmine and the bottom of white rose. 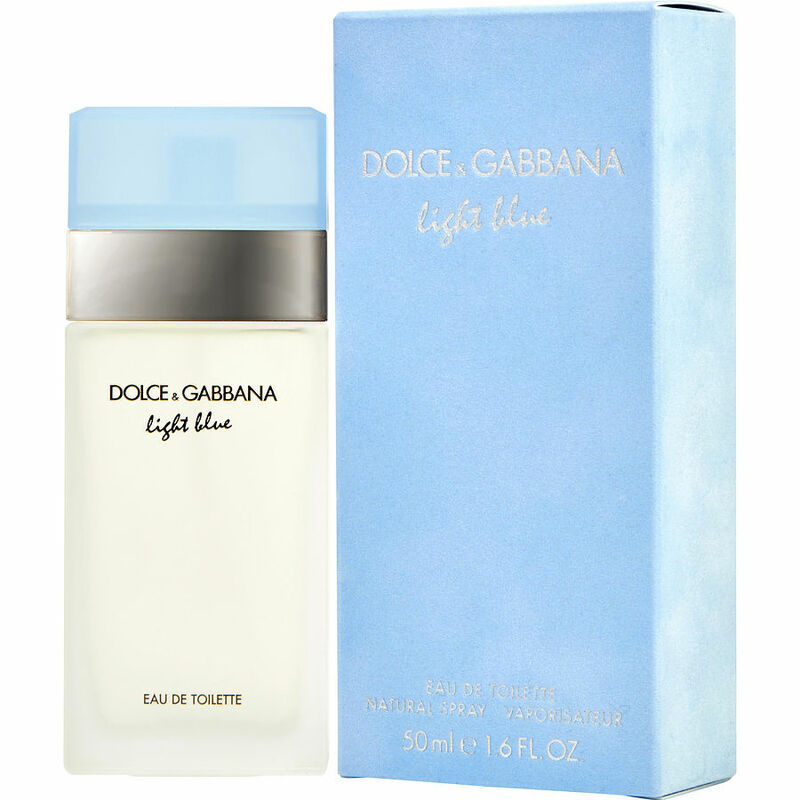 A timeless design inspired by the classic Dolce & Gabbana parfum, Light Blue shape is yet confident but always very feminine. Its light blue cap evokes the clear skies of the Mediterranean. The bottle itself is strong, reflecting today's modern woman. A gorgeously textured, melting emulsion that softens and hydrates skin wonderfully. 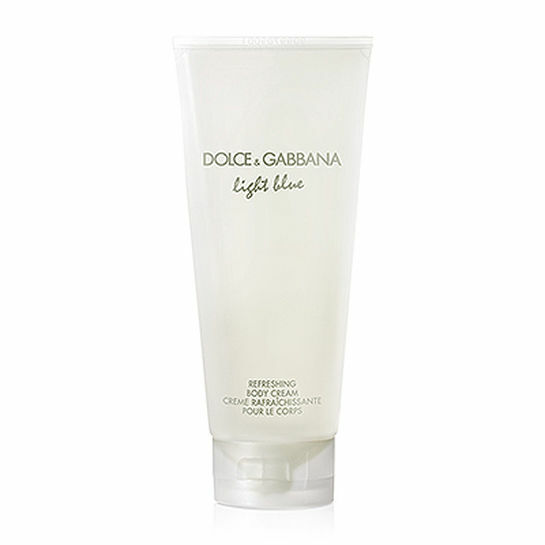 Feel instantly refreshed and uplifted with smoothed and glowing skin that is scented with the crisp scent of Light Blue. The joy of living the Light Blue Mediterranean life. Capturing sun-drenched summer days and sizzling nights, this colourful, fresh, floral-fruity scent reflects the sexiness of the Mediterranean lifestyle.